Jovina is a consultant, an educator, a global speaker, and the author of Leadership Communication. Connect. Engage. Inspire., and The Game Plan of Successful Career Sponsorship: Harnessing the Talent of Aspiring Managers and Senior Leaders. In the past, she was a corporate executive working for Fortune 500 companies. 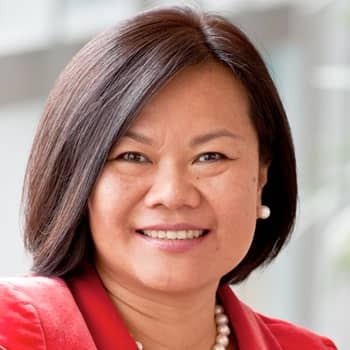 She has transformed businesses, reinvented organizational culture, elevated employee engagement, built customer relationship management systems, and enhanced corporate brands in market-leading multinationals, including Microsoft, Dell, and Cisco Systems. Jovina has won multiple awards, including the Women Leadership Award from CMO Asia and the Strategic Communication Management (SCM) award for Leader of the Year from Melcrum.